HackTutors is Now DoFollow Blog! 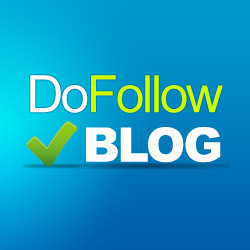 We are happy to announce that we have turned HackTutors to DoFollow blog. Recently I shared Top 50 DoFollow blog list. Now, we can include ourself (HackTutors) in that list :D We decided to make HackTutors a DoFollow blog by the suggestion of our loyal readers. Now, all the comments and all outgoing links are DoFollow. There is the two attribute in this field that is Do Follow and No Follow where Do Follow is opposite to No Follow. All these stuffs is related to in and outgoing link through any web page. Mainly No Follow attribute comes default in comment section of any blog or website. In sight of search engine, all No-Follow links suggest not to follow the link to any other websites. Mostly webmasters search for Do Follow blogs and start commenting to increase their Page Rank. Actually, the high quality Do Follow link helps to increase the Page Rank of the blog. Also, the blog author can get lots of comment if S/he have good page rank. You'll get lots of spam comments if turning your blog to DoFollow. You'll not get much time to reply the genuine comments what you reader is asking about. So, this is only helpful for your reader only. You have to moderate the spam comments what comes in-front of you. Many webmasters use clients to comment on high page rank do follow blog. So, you have to be avoid of them. How to Make Dofollow Blog? Go to your Dashboard > Plugins > Add New and search for DoFollow. Can see the list of DoFollow Plugins, install DoFollow Plugins and active it. And you're done! These are the simple introduction to Do Follow and No Follow stuff. But, No Follow blog commenting doesn't hurts you. Comparatively, people give most priority to Do Follow rather than No Follow. However, we have to view the content about what quality it have. We'll continue to share our quality content with you guys. Keep In Touch with us! Which blog do you mostly use to comment on? Share with us! Hack Tutors — Blogger Tricks, Blogging and Social Media Tips: HackTutors is Now DoFollow Blog!